The Tiffany stained glass window from the Lancaster Street church. By the late 1950s, the parishioners of St. Paul’s Episcopal Church faced an existential decision. Should the congregation remain in their aging but elegant 78 Lancaster Street building, boasting stained glass by Tiffany and J. and R. Lamb studios—or relocate to a modern building outside the center city. The congregation had worshipped at 78 Lancaster since 1862, but the neighborhood around the church had changed dramatically in the past decades, prompting many parishioners to move away and find churches closer to their new homes. 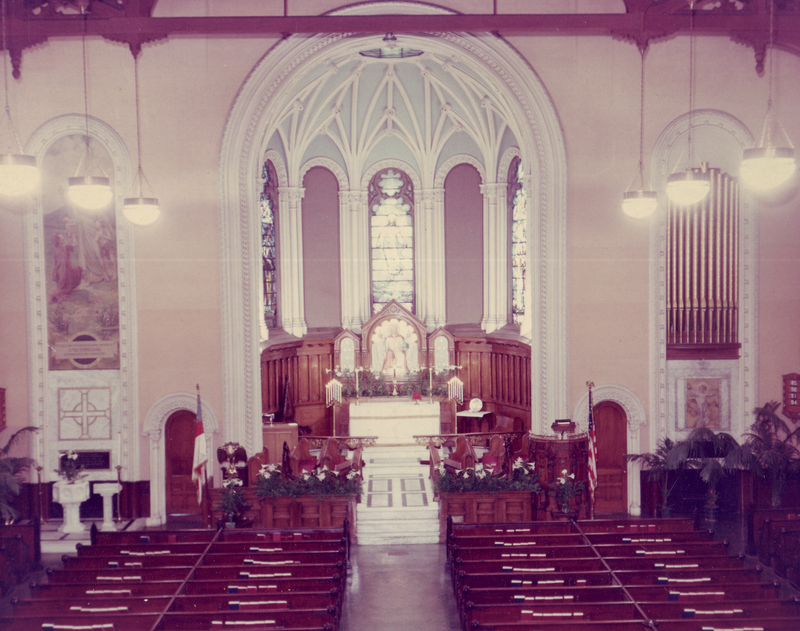 Interior of Lancaster Street church. St. Paul’s Episcopal Church. St. Paul’s was not alone. By the mid-1950s, churches across the nation faced a similar dilemma. A 1956 article in the magazine, Protestant Church Administration, identified the “deterioration of outmoded structures” combined with the “the drift of the people away from present sites to newer residential areas” as the forces prompting many urban churches to move to the outskirts of America’s cities. 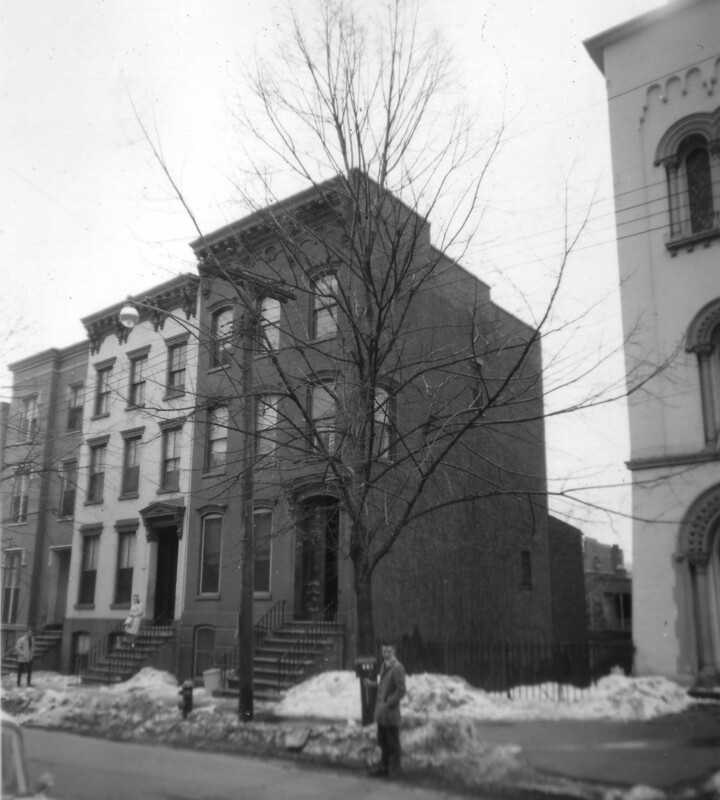 Here in Albany, a 1956 survey by four local churches found that the neighborhood near St. Paul’s had become” very mixed in economic and cultural standards. The residents range from very temporary occupants of cheap rooming houses up to quite well kept private residences.” Lancaster Street, in particular, was known for its boardinghouses. In fact, St. Paul’s was surrounded by them. On same block as the church, the notorious Mae Carlsen owned 10 shabby structures with rooms renting for as little as $5 per week in 1962. Neighboring structures, ca. 1963. AIHA. With these considerations in mind, the Vestry appointed a committee of nine to determine the church’s future. Should it remain on Lancaster Street, merge with another parish, or relocate to a new site? Move! was the majority’s answer. Albany Bishop Frederick L. Barry approved, noting that if St. Paul’s remained at its present location, it needed to “become a truly integrated parish, ready to accept into its Christian fellowship all sorts and conditions of people, regardless of race or color.” “If such a decision were made,” he continued, “I question whether many members of the present congregation would remain active communicants, and with their leaving would go their support. Then the Parish would be faced with the problem of raising an adequate budget” to defray expenses. Yet St. Paul’s remained on Lancaster Street—possibly due to lack of funds or, perhaps, a change of heart. The congregation hired a new rector, Rev. Nelson F. Parke and embarked on a plan of “neighborhood improvement,” working to engage the residents around them. In the summer of 1960, as part of an effort to “brighten up” the block, the old church was painted white with gray trim. Recently appointed Rector Rev. 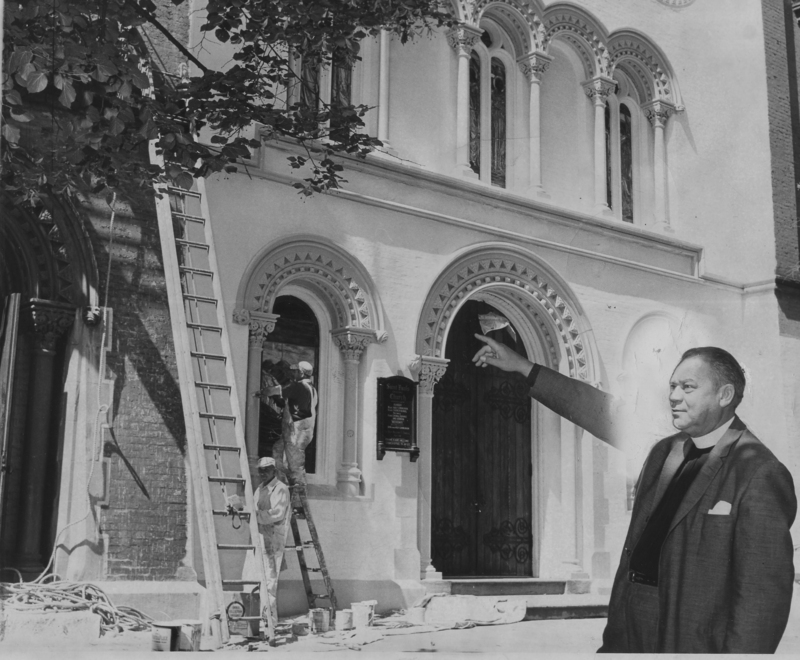 Nelson F. Parke proudly points to the newly painted St. Paul’s, 9 July 1960. Times Union staff photo taken by Wilder. Used by permission of the Times Union. The state’s seizure of the church must have come as a shock so soon after the congregation decided to stay put. 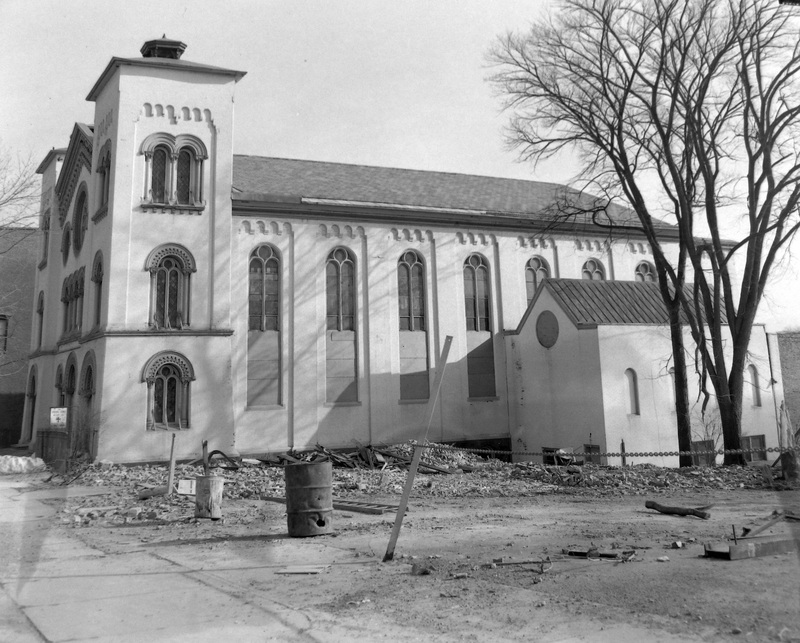 Within a few weeks of the March 1962 announcement by the State, Parke and church leaders proposed an alternative to demolition—St. Paul’s would remain standing to serve as a “spiritual and physical oasis in the midst” of the South Mall, much like Trinity Church near Wall Street. Furthermore, Parke envisioned a new mission for old St. Paul’s—ministering to the spiritual needs of thousands of state workers who would eventually fill the offices of the South Mall buildings. The Lancaster Street church in March 1964, with some nearby buildings already demolished. NYS Archives. By the end of 1962, the congregation was looking for a new rector to replace the recently deceased Rev. Parke and had begun planning to build a new church on Hackett Boulevard. Resigned to their fate, the Vestrymen encouraged parishioners to welcome “the excellent plan to re-develop the South Mall area” and to trust that the church would receive fair compensation. St. Paul’s held its last service on Lancaster Street on 13 September 1964. 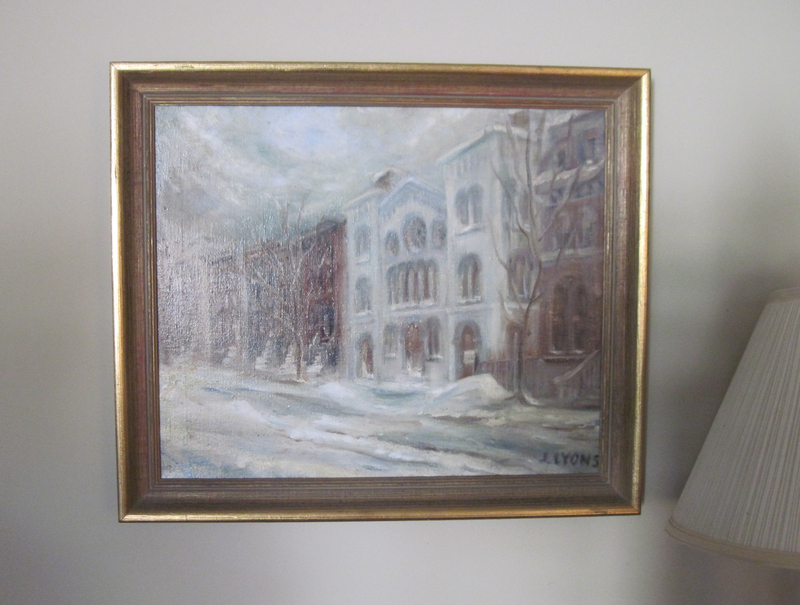 This painting of the old church hangs in the Blue Room of St. Paul’s Hackett Boulevard church.